Cell migration and molecular mechanisms during healing of damaged vascular or muscle tissues are emerging fields of interest worldwide. 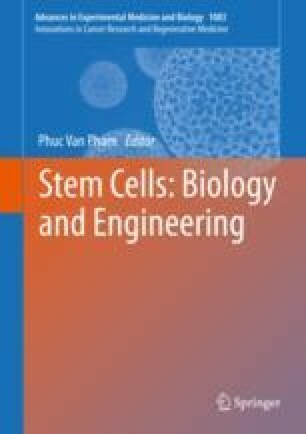 The study herein focuses on evaluating the role of allogenic adipose-derived mesenchymal stem cells (ADMSCs) in restoring damaged tissues. Using a hindlimb ischemic mouse model, ADMSC-mediated induction of cell migration and gene expression related to myocyte regeneration and angiogenesis were evaluated. ADMSCs were labeled with GFP (ADMSC-GFP). The proximal end of the femoral blood vessel of mice (over 6 months of age) are ligated at two positions then cut between the two ties. Hindlimb ischemic mice were randomly divided into two groups: Group I (n = 30) which was injected with PBS (100 μL) and Group II (n = 30) which was transplanted with ADMSC-GFP (106 cells/100 μL PBS) at the rectus femoris muscle. The migration of ADMSC-GFP in hindlimb was analyzed by UV-Vis system. The expression of genes related to angiogenesis and muscle tissue repair was quantified by real-time RT-PCR. The results showed that ADMSCs existed in the grafted hindlimb for 7 days. Grafted cells migrated to other damaged areas such as thigh and heel. In both groups the ischemic hindlimb showed an increased expression of several angiogenic genes, including Flt-1, Flk-1, and Ang-2. In particular, the expression of Ang-2 and myogenic-related gene MyoD was significantly increased in the ADMSC-treated group compared to the PBS-treated (control) group; the expression increased at day 28 compared to day 3. The other factors, such as VE-Cadherin, HGF, CD31, Myf5, and TGF-β, were also more highly expressed in the ADMSC-treated group than in the control group. Thus, grafted ADMSCs were able to migrate to other areas in the injured hindlimb, persist for approximately 7 days, and have a significantly positive impact on stimulating expression of myogenic- and angiogenesis-related genes. This research was funded by the University of Science, Vietnam National University, Ho Chi Minh City, Vietnam, under grant number T2016-20. NBV and NPK were responsible for suggesting the idea for this study, creating the experiment design, analyzing the data, writing the result, discussing, and preparing the figures. HLTN was responsible for performing the RT-PCR analysis and writing the introduction and methods. LTP was responsible for performing the ADMSCs cultures. TTTD was responsible for creating GFP-ADMSC and preparing muscle cell for flow cytometry analysis. NBV and VTT were responsible for analyzing the flow cytometry and revising the manuscript. All authors read and approved the manuscript.